I first discovered the philosophical 'idea' of taiji from a old San Fransiscan (forty odd years ago) who introduced me to the yarrow sticks, I-Ching and the Dao De DIng, Upon returning to South Africa I discovered a South African (Sifu Eddie Jardine) who over the next twenty odd years taught me taiji, qigong karate-jutsu and kobujutsu all in a soft flowing, loving and gentle manner, (this was fortunate as many other karate 'hard styles' were more in vogue). To Eddie I owe a huge debt of gratitude for encouraging me over many years, finally culminating in my living in at Grandmaster Motokatsu Inoue's Ryu Kyu Kobujutsu Dojo in Shimizu Japan where I proceeded to train in the 'way' of The Ryu Kyu Kobujutsu Hozon Shinko Kai style of karate and kobudo. (as passed on to Patrick Kelly) and in studying the esoteric teachings of tai chi relating to the martial and therapeutic arts. I acknowledge and deeply appreciate the ongoing and continuous efforts of Patrick Kelly (one of the foremest authorities in the world of taiji) in his ceaseless efforts to spread Master Huang Sheng Shyan's system of taiji and who has instructed and assisted me over the past fifteen odd years in Sydney and on occassion New Zealand, who taught me the short form, long form, quick fist, breathing crane, push hands, and walking stick forms and who continues to be an inspiration, master teacher and mentor. how to fight a lousy cold. til your hat appears there twice. have sweet dreams and one good sweat. *The punch line was Sneaky's idea. "J. Krishnamurti’s The First and Last Freedom. I love this man, and I hate this man. I love him because he speaks the truth, but I hate him for his intellectuality. He is only reason, rationality. His logic is what I hate, his love is what I respect – but his book is beautiful. This was his first book after his enlightenment, and the last too. Although many other books have appeared they are only poor repetitions of the same. He has not been able to create anything better than The First and Last Freedom. It is a strange phenomenon: Kahlil Gibran wrote his masterpiece The Prophet when he was only eighteen years old, and struggled his whole life to create something better but could not. Ouspensky could not go beyond Tertium Organum even though he met Gurdjieff, lived and worked with him for many years. And such is the case with J. Krishnamurti: his book The First and Last Freedom is really the first and the last." On the exhalation, one expands the sphere equally from the abdominal center to the six directions: down and up, forward and backward and sideways left and right. The forward expansion of the dantian in the belly is balanced with the backward expansion of the mingmen in the back. agility, while the other half extends out to the arms or other point of contact for yielding and possible discharge. On the inhalation, the procedure is reversed and the energy is drawn from the six directions into the dantian." 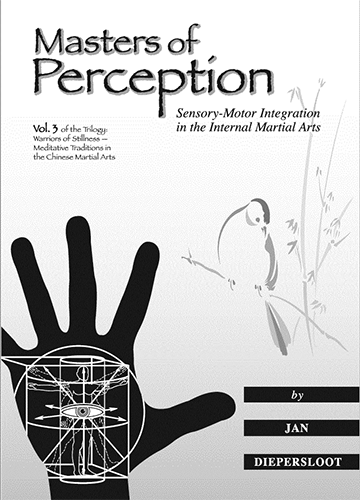 First we examine control of internal movements. YOGA trains skill at reaching and holding extreme joint extensions. TAIJI uses smooth movement within normal joint range. YOGA activates the muscles with a strong contraction to extend the joints. TAIJI gently activates, then deactivates (releases) the muscles, to produce waves of accelerating, then deaccelerating, movement. TAIJI is practiced standing and stepping so the joints and muscle changes in the lower body are most active. YOGA, with the majority of postures sitting or lying, has more activity within the upper body. TAIJI practice is 50% partner exercises. 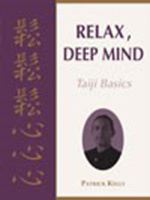 TAIJI's skilled standing interactive movements which train the intention aspect of mind (Yi) transfer directly into an active outer life, including some skill at self defence, both physically and psychologically. YOGA's skilled extreme individual sitting postures which train more the awareness aspect of mind, suit more a quiet withdrawal from outer life. Both YOGA and TAIJI match breathing with movement as a way of linking into the second level of the mind. Breathing is the only body process which usually functions completely instinctively yet can be easily influenced by the conscious mind (whereas, for example, the heartbeat or body temperature cannot be so easily influenced). Both YOGA and TAIJI, when practiced internally, lead to a strong and energised physical system with the potential for a healthy life, well beyond the normal lifespan. My Raja Yoga teacher lived to approximately 108 and one of my Daoist teachers is still alive and well at 116 (he suggests that the natural lifespan of the human body is 120 years). (Please note: TAIJI & YOGA are not business opportunities and they are not lifestyle options. Do not support - with your energy, time or money - those who pursue these low purposes as they detract from the propogation of the true art). 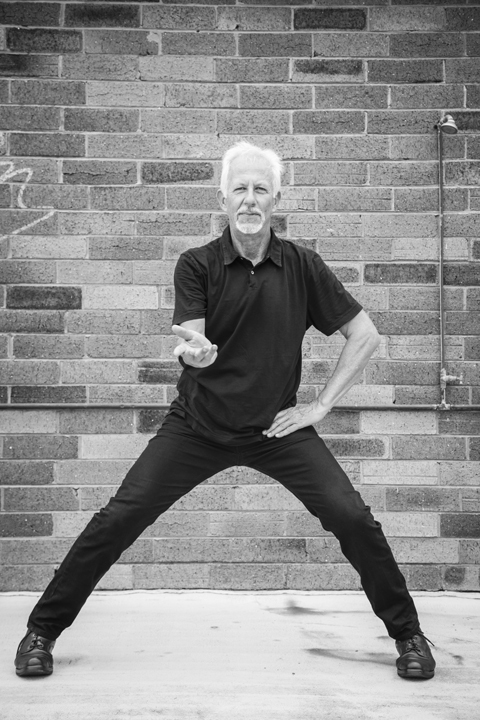 In a randomized controlled trial, researchers have shown that regular practice of Tai Chi in seniors increases brain volume and augments memory and thinking scores. 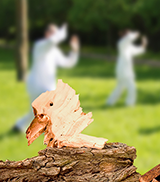 Scientists collaborating from University of South Florida and Fudan University in China showed that Tai Chi that appears to actually increase brain volume. In this study, some participants practiced the ancient Chinese martial art three times weekly over an 8-month period while the control group received no intervention. Previous studies have demonstrated that aerobic exercise can increase brain volume but this is the first to study Tai Chi specifically. In fact, the researchers' experiment even showed improvements on memory and thinking skills tests. These types of results show the treatment, Tai Chi, to be highly efficacious in combating dementia illnesses like Alzheimer's. According to lead author Dr. James Mortimer, professor of epidemiology at the University of South Florida College of Public Health, "epidemiologic studies have shown repeatedly that individuals who engage in more physical exercise or are more socially active have a lower risk of Alzheimer's disease." With Larry's help, patience and support I started one of the most important journeys of my life - protecting, understanding and respecting myself. Hi Larry, They loved the Tai Chi this morning! Many staff members said – "could we start like that every day???" Wouldn’t that be great!